There are many decisions and steps involved in launching a new food or beverage product. 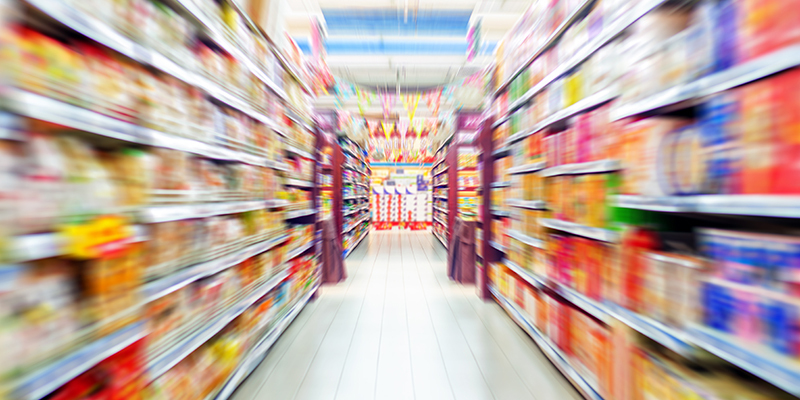 One of the biggest challenges companies face is convincing a grocery buyer to add their new product to their shelves. You can see why it is so difficult when you take a closer look at those shelves – space is limited and very full. Let’s look at some numbers. The average size of US supermarkets has been decreasing since 20061, according to Packaged Facts, with a median store size of 42,800 ft2 in 2015. This may sound large but not so when you consider how many items stores typically carry. According to the Food Marketing Institute, there were an average of 39,500 items per supermarket in the US in 20152. That equates to just over one square foot of space per item – a clear example of how limited and, therefore, valuable grocery shelf space really is. And yet, more and more new products are being developed and launched every year. The Expo West tradeshow, held in Anaheim every March, is one of the largest natural products shows. In 2016 there were over 500 new exhibitors and this year there were another 500-plus; a significant number were food and beverage companies. That adds up to very stiff competition for a finite number of opportunities. So the challenge is much more than convincing grocery buyers to add your product to their shelves. The real challenge is convincing grocery buyers to replace an existing product already on the shelf with yours. And that is a very tall order. One way to improve your odds is to design a product with benefits that address multiple consumers’ needs. Take MadeGood Foods for example, a Canadian company I ran across a few years ago at Expo West. The granola bar category is very competitive, with a multitude of options already on shelf. However, MadeGood went above and beyond when they developed theirs. Not only are they made with whole grains, gluten-free and low in sugar, they are also certified organic and non-GMO. Plus they’re school friendly (i.e. free of the top 8 allergens) and each bar has the nutrients of one full serving of vegetables. MadeGood granola bars clearly fulfill the needs of many different consumers. Having multiple benefits that speak to different types of consumers can become a challenge when deciding who to target and what your messaging should be. But it is a stronger pitch to grocery buyers and increases the chances that your product will be on-shelf for consumers to find. So, if you are developing a new product, consider the real challenge in securing grocery shelf space and hedge your bets by meeting multiple consumers’ needs. This is one of those times when more is definitely better.